The Dublin Native is one of seven actors highlighted in the American publications ‘TV’s 7 Rising Stars Poised For a Breakout in 2019’. The inclusion comes in the wake of Keoghan’s casting in ‘Y’ the adaptation of the popular comic ‘Y: The Last Man’, which saw the Irish actor relocate to Brooklyn earlier this year to film the highly anticipated pilot. Whilst ‘Y’ has not yet been ordered to series, The Hollywood Reporter described the potential adaptation as a “slam dunk” due to the comic’s fanbase and the stellar cast featuring Diane Lane and Imogen Poots. From the comic written by Brian K. Vaughan, Keoghan plays lead character Yorick Brown who is the last surviving human with a Y chromosome after a mysterious plague wipes out the male chromosome. 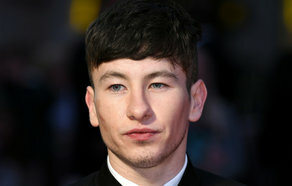 Landing the part has come after a number of critically acclaimed performances in major feature films such as ‘American Animals’, Oscar nominated ‘Dunkirk’ and ‘The Killing of a Sacred Deer’ which earned Keoghan an IFTA award for Best Supporting Actor – Film. As well as the ‘Y’ pilot, Keoghan plays the lead in Irish-set feature, ‘Calm With Horses’ which has entered post-production and is expected to release at some point in 2019.